This is a rectangular Eight Brothers Tobacco porcelain sign. This particular Eight Brothers Tobacco sign is maroon and light blue with white text. 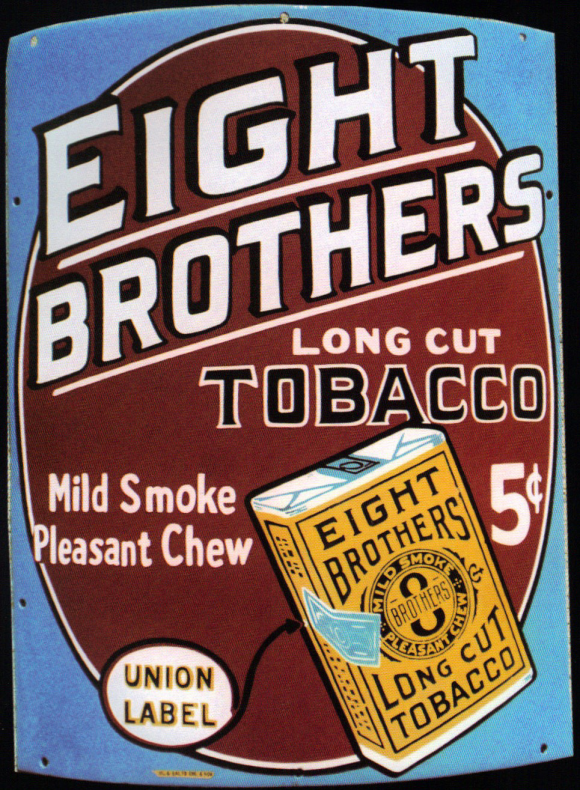 It reads, “Eight Brothers Long Cut Tobacco, Mild Smoke, Pleasant Chew, 5 Cents, Union Label” and features a yellow pack of Eight Brothers Tobacco in the lower right corner.